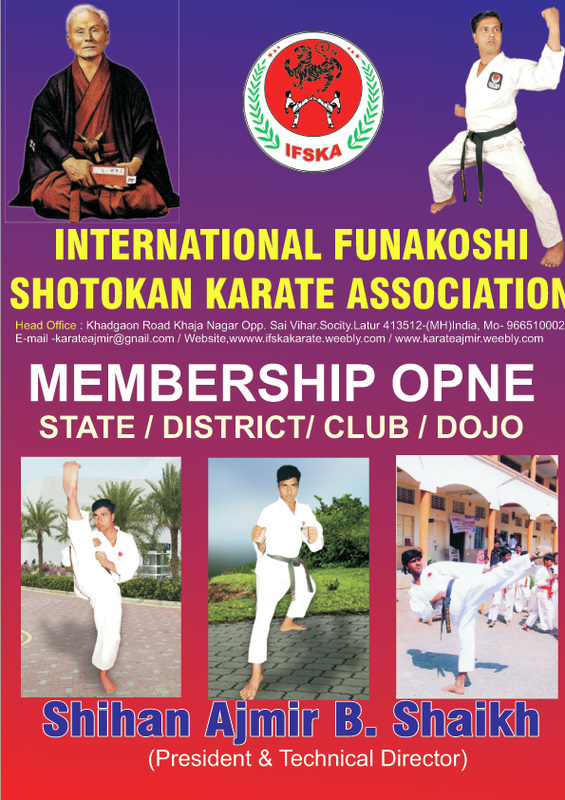 International Funakoshi Shotokan Karate Association is a Shotokan styled Association. It is non political and non profitable association. 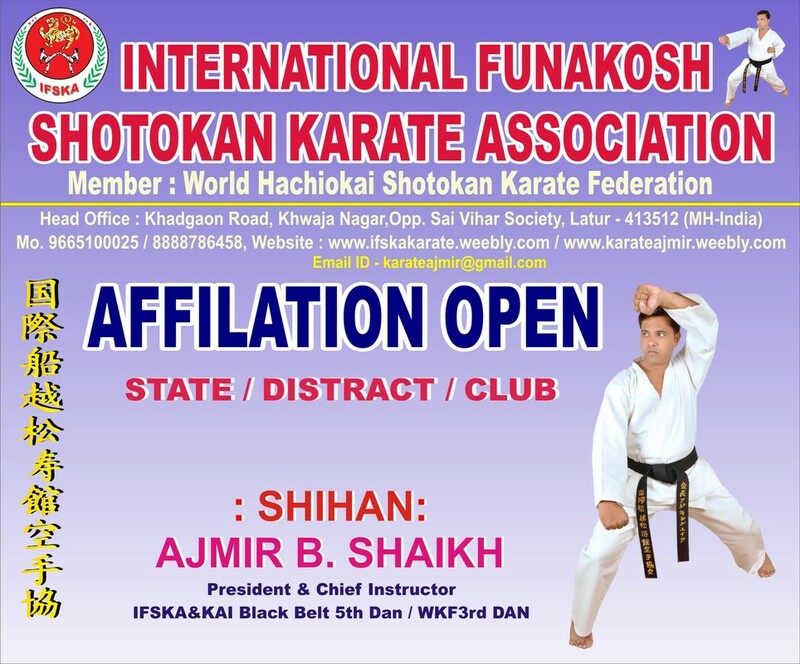 It is affiliated to World Japanese Shotokan Karate Organisation (WJSKO) World Hachiokai Shotokan Karate Federation (WHSKF) The Association is under the leadership of good experience of participating in different National, International Championships, Seminars and Master Training Camps and has made significant contribution in the field of Karate in National and International Level. The Association is going forward with the view of Shotokan Karate and is guiding Karate as a method for good health, a sports, a technique of self defense and also as a Japanese martial art. The opinion of members of Association is very positive to promote and develop Shotokan Karate in India and they are very dedicated to their mission.